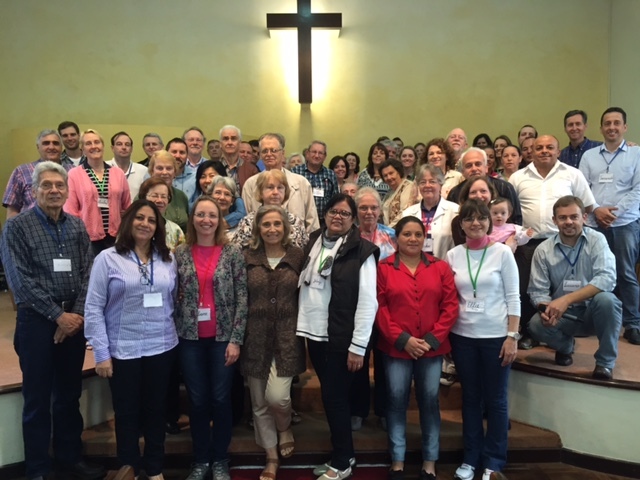 The Lord blessed the Curitiba Fermata for pastors and lay leaders last week. About 65 attended from 10 churches. My interpreter on Thursday, Peter, took his new copy of Portuguese Handbook to Happiness to work on Friday. (He serves as a chaplain at a nursing home.) A Catholic nun saw the book and was intrigued by the title and diagrams, so he gave it to her…We pray God will use the fellowship, messages, literature and data CDs to maximize the Fermata experience in their lives and ministries. Our team for this week’s Fermata is Edmund, Ursula (his sister), pastor Luciano (an apprentice from Curitiba) and myself. On Sunday we had a couple of flights and landed at Recife (northeast). After a few hours our team took a bus (a nice coach) on a 6 hour overnight ride west to Triunfo. Once we arrived at SESC retreat center, it was a welcome sight. The 30 couples (from 4 surrounding states) are due to arrive today. Please pray for us, my sessions and the one who will interpret for me. Edmund’s wife, Marli, was with us for the Curitiba event, but has meetings this week for the international TransWorld Radio program she directs–Project Hannah. Thanks for your interest and prayers. 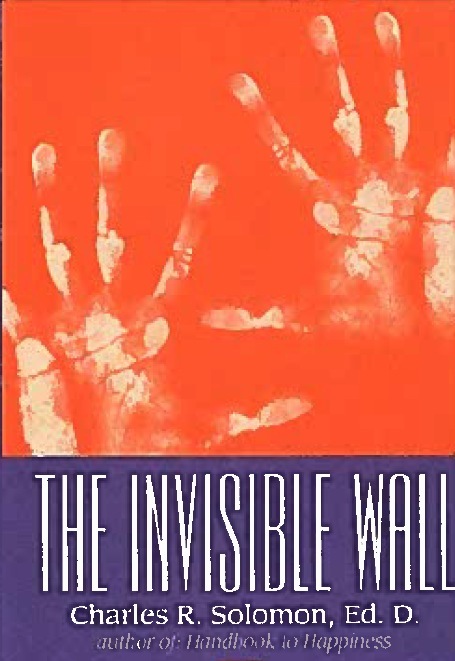 In the last century an “invisible wall” was erected. Secular humanism became the dominant influence in American culture, while the Christian church’s orthodoxy and vitality waned. In this manifesto By Dr. Charles Solomon, believers are summoned to Christ-centered living, and renewal so that the church can function as salt and light in the last days. Although penned 20 years ago its prophetic analysis is even more relevant today. The article is available in the PDF Collection on this web site / Resources here. An audio recording by Ron Solomon has just been added to the GFI audio channel here.